From the very beginning, until the time you sit down at the closing table, you need a myriad of services performed on your behalf. It's important to choose someone with exceptional communication & marketing skills blended with a strong knowledge of the area. 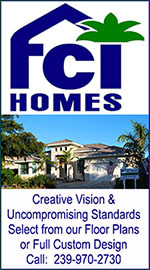 The following is a collection of Marco Islands Finest Real Estate Professionals. These elite agents offer a willingness to invest an inordinate amount of time and energy to ensure that you find that prefect dream home in paradise. A successful developer has the inherent ability to blend its resources, influences and drive to create something unique. The right combination of assets and knowledge is needed for such an achievement. These select companies have been recognized for combining their talent and vision to create business opportunities that improve individual lives and enhance the environment in Southwest Florida.